The European People’s Party, which is rapidly losing its remaining credibility, is getting a first-hand taste of how Prime Minister Viktor Orbán operates. After the EPP published a strongly worded statement Saturday morning, in which it claimed that the EPP presidium “asked Fidesz and the Hungarian authorities to take all necessary steps to comply with the Commission’s request” about amending legislation against Central European University, and added that “Prime Minister Orban has reassured the EPP that Hungary will act accordingly,” it turns out that Mr. Orbán feels he made no such promise at all. Viktor Orbán in Brussels on Saturday, heading into the EPP meeting. Photo: MTI. The CEU does not have “months” and the Commission demanded that Hungary make the necessary amendments within one month. Mr. Orbán then took personal credit for the fact that the Hungarian public is strongly pro-EU, noting that his government’s efforts (a government which has spent two years plastering the country in anti-EU billboards) have increased support for the EU. “Support for EU membership is highest in Hungary. I believe that this result includes the work of the Hungarian government. 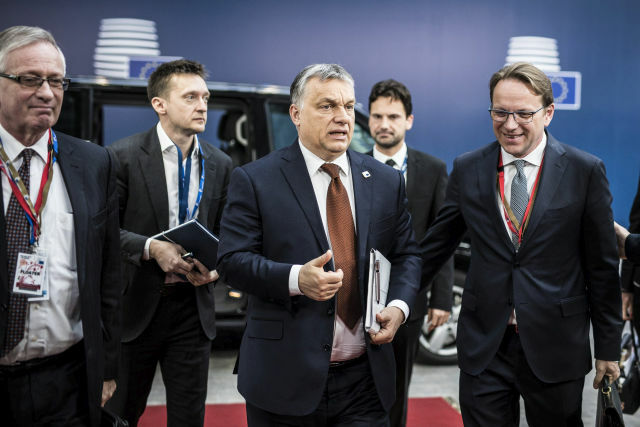 We are a pro-European government, but we are not willing to change our opinion that in many regards, the Union does not function well and must be reformed,” noted Mr. Orbán–and with a straight face, one might add. Within hours of the EPP’s demand that Mr. Orbán end his anti-EU propaganda campaign, the government launched a brand new anti-EU television ad. The European People’s Party is in denial. It is trying to reassure itself that at least Viktor’s Orbán’s regime is not as terrible as the Law and Justice party government in Poland, which is aligned with an openly eurosceptic group in the European Parliament, namely the Alliance of Conservatives and Reformists in Europe. And the European People’s Party is either so naive or so unprincipled as to believe, or pretend, that dialogue is possible and fruitful with the Orbán regime. It is not and it never has been. Every group–political or socio-cultural–that has decided to engage in dialogue with the Orbán regime has been burned and humiliated, usually sooner rather than later. The European People’s Party may be learning this lesson as we speak. But the chance that this treatment by Fidesz will be enough to eject the Hungarian regime from its ranks remains a distant possibility. Mr. Orbán will be a winner in the eyes of his 2 million-strong core voting base, and that is all he needs to be re-elected in 2018.
the proverbial GYPSY HORSE TRADER would be put to shame by this lowly schemer. Poor Europeans expect some decency from this half-Asian derivative. Ho ho, it’s all about an about-face ?! But the question now is, who is telling a lie ? This has NOTHING to do with an about-face. It has to do with the fact, proven over and over again, that the feckless European Union, which is too lazy, stupid and cowardly to stand up for any of its own principles, is a festering piece of crap that needs to be cleared off the map with a pressure washer. if Orban is “a festering piece of crap that needs to cleared off the map..” who is going to do it instead of the “feckless EU, which is too lazy..” ? Love Mephisto’s honest suggestion! Add the founder of ECU under that sweep -the old fart. Your private opinion is likely more popular than that of the opposition. The likely solution would be to REFORM the EU to basic democratic values. Not to allow it to continue as a tool of the mega-corporations to own and rule the entire continent of Europe. Power to the peoples of the nations of Europe. Something that is NOT even possible now. BUT it does NOT answer as of this present issue ,of who did lie ? EEP? or the press? 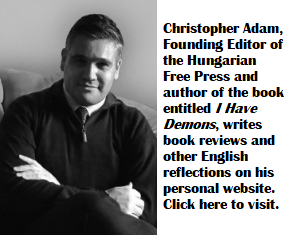 ” it turns out that Mr. Orbán feels he made so much promise at all. it turns out that Mr. Orbán feels he made NO SUCH promise at all. The European People’s Party doesn’t represent people but a loose coalition of diverse parties. Each of those parties leads a complicated electoral life in its home country. Forces acting on each party in the EPP, and their policy choices have little to do with the good of EPP. They welcome EPP’s approval, but they can do without it. To attempt to cow Orban with principles, such as European values or party discipline, is a wasted effort. He will change nothing unless he is threatened with serious action. What can one think about a club, that protects an autocratic Mafia gang ? Can we take them credible, when they praise Europe and its values ? Do they have the right to complain about Poland, which is Hungaries follower ? All that for not loosing 12 members ? The EU is closer and closer to disintigration by every day. Unless they reform it, and become a democratic institution, respecting the values and rights of all and every national groups. United, or divided will fall. Say what you will about Orban or any individual, it is the basic principle that is missing from the EU, and not a single popular guy. The right of every one, that’s the missing ingredient in EU ! Never mind how Mr.Orban feels. The question here is, did he make such promise, or NOT ? That need to be answered ! And than may be get the record, to back up ,or disprove of what he alleges.